AppFactorie Blog Restaurant Apps - 7 Key Features to keep your clients Engaged! Restaurant Apps – 7 Key Features to keep your clients Engaged! 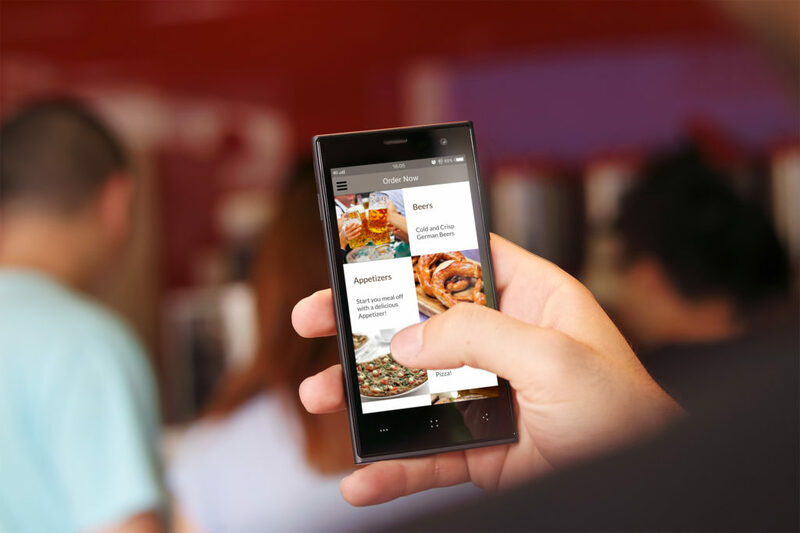 7 Key Features that will make your Restaurant App stand out from the crowd! Most restaurant apps only include the location, the menu, and some nutritional information. Consumers’ preferences have since changed, prompting these apps to become more interactive. You can engage your customers and increase sales by implementing some of these key features into your very own food mobile app. All restaurant apps must have an interactive menu that includes a list of ingredients and nutritional information. This should be easily accessible and relatively simple to use. It should also include enticing images of your appetizers and dishes to encourage customers to order directly from your app. If you want to enable customers to order from the app, you should also include an order form. This makes it convenient for those who don’t want to call in their order. Apart from a menu and online order form, you should also include a reservation feature to allow users to skip the queue and to book a table ahead of time. Engage your customers with push notifications. This is a great way to get their attention when they have thousands of other apps installed on their smartphones. Make sure you’re knowledgeable on push messages and notification. This can let customers know about upcoming discounts, promotions, etc. without having to access the app. These pop-up messages allow you to engage with your customers whenever they’re browsing through their phone. You want to make your app accessible to as many platforms as possible. Reaching a large number of customers through mobile ordering should be one of your core goals as a business. Your restaurant app should be accessible on multiple platforms such as the App Store and Google Play. This will help you get noticed by a larger group of people, which will give you potential new customers who will want to download your restaurant apps. Visual content is an important part of marketing. You should keep your customers engaged with enticing photos, videos, and other media content. Including these types of media into your food mobile app leads to more customer engagement. You can also include photos of the food menu and your venue if you’d like. It’ll bring your restaurant to life and make more customers want to experience it. Give potential customers what they’re looking for, by allowing them to view and share this content with their family and friends. As mentioned before, your mobile app can make a powerful marketing tool. You can effectively run a marketing campaign on your app in an effort to increase referrals. Dedicated customers can get a referral code to share via text message or social media will give them more reward points. Other examples include using a coupon code to get discounts or referral codes that lead to a free bonus or a discount on the first order. This can lead you to new potential customers, which is a win-win for everyone. You can also create a loyalty program for your restaurant app. You want your customers to feel as if they’re part of something special. A loyalty program is perfect for those who regularly use your app for mobile ordering. These rewards can increase customer engagement and transactions. Since one in every five smartphone users like the ease of mobile payments, it’s important that you offer mobile payments on your app. Allow your customers to order food quickly and easily without cash. It’s important that you could include a variety of options for mobile ordering such as credit cards, debit cards, and PayPal. You don’t want to miss out on the mobile online payment trend with your food mobile app. Do you want to reach more customers? Do you want more sale for your business? Get a food mobile app that includes some or all of these key features. Your customers can skip the queue at your venue and order directly from their phones instead. If your ready to find out how we can help you business with your own branded Mobile Digital Solution, click on the button below to book a free Demo! Ditch FoodPanda! 5 Reasons Why You Need Your Own Restaurant Mobile App..